Lasting Blueprint Productions offers freelance videographer rates. We provide full video production services, but sometimes do subcontracted work. We enjoy working as a freelance videographer! 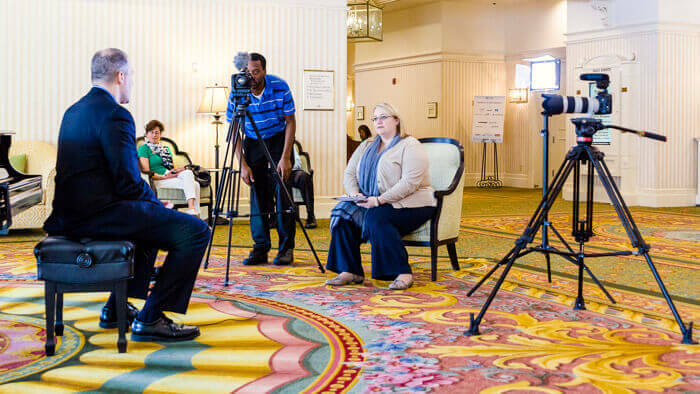 We can provide a videographer to shoot B-Roll for two hours or for a five day conference event. Whichever service you need, we will find a videographer that will be great for you! If you’re an agency or production company interested in hiring a professional freelance videographer in Orlando, we’re here for you! You get up to 10 hours of coverage with 1 videographer equipped with 1 camera, audio recording, lighting, support, setup and breakdown. RAW footage, delivered via Hard Drive, USB flash drive, Dropbox, Google Drive. You get up to 5 hours of coverage with 1 videographer equipped with 1 camera, audio recording, lighting, support, setup and breakdown. RAW footage, delivered via Hard Drive, USB flash drive, Dropbox, Google Drive, or FTP. Our videographer hourly rate provides you with 1 hour of coverage (2 hr min) with 1 videographer equipped with 1 camera, audio recording, lighting, support, setup and breakdown. NOTE: Rates apply to agencies and video production companies that need to subcontract. Businesses & individual’s that need to find a videographer, here’s our video production rates. Lasting Blueprint is one of the most professional Orlando video production companies. To receive accurate freelance videographer rates, contact us by filling out the below form. We look forward to speaking with you! NOTE: All freelance videographer rates require a 50% retainer and signed service agreement.